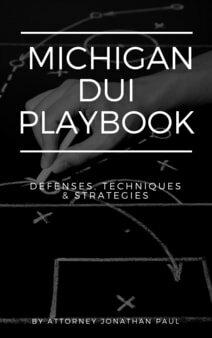 When charged with drunk driving in Michigan, the judge will set certain bond conditions, which will most likely involve alcohol and drug testing. Although innocent until proven guilty, there was probable cause to believe you were indeed drunk driving, and the judge will set testing to make sure you're not drinking or using drugs during your case. As a proactive DUI attorney, my clients are typically already doing this (in the most convenient manner) before we arrive in court, and we impress the judge will how seriously we're taking the charges. In my experience, my clients have typically received less testing than the average client in a similar position and court, which has saved my client both time and money. For example, if I'm working with one of my many doctors or a traveling businessman, I'll get them started on a portable unit, which will allows some flexibility in testing, including leave the state or country, which is not an option if the client is required to set their alarm clock and run to the testing facility. I work with busy and successful clients who simply don't have the time to hangout in testing facilities with two-hour waits. My strategy allows my clients to have independence in their testing, and to successfully comply with the court's order. Testing requirements are always subject to change based upon how the client is doing, and if any tests are missed or positive results. 3) In-home units - these devices are favored by my busy clients who need to be caring for patients, flying around the country to close deals and can't afford to miss work or time with their family. These devices vary in size and shape, but all use a camera to verify identity and test for alcohol. The devices can be plugged into any outlet or even run on batteries/use of a charger, just like a cellphone. This device allows you to blow into the machine in less time than it takes to brush your teeth before going to work, and the flexibility to fly all over the world while complying with your testing conditions. I am a strong advocate for this type of testing. 4) Ignition interlock units - this is a testing unit installed in your vehicle, which will accomplish the goal of alcohol testing, but will also give a judge peace of mind that in order to start your car, you need to blow without alcohol in your system. The unit has a camera to capture your photo, but if someone else blows into it to use your car, with alcohol in their system, the judge will typically have a zero tolerance policy and consider that a failed test. This method requires you to be with your car at all times, which is not always practical. 5) ETG or ETS alcohol testing - these tests measure the amount of metabolites in your urine, and the results go back as far as 72 hours, meaning if you had a beer three days ago, you're not in the clear. These tests are most expensive than PBT's, but cheaper than some of the in-home units. You still need to go somewhere other than your own home or car to test, but they are less frequent (typically 1-2 times per week). These tests do allow some flexibility in testing as they will capture a three day picture. Judges will sometimes order these when someone returns from travel, and has not tested in a few days.